Graduation – a chapter of your life filled with experiences, friends, laughter and long hours of studying is coming to an end. A time of your life that has created many memories and moments to celebrate. Graduation and with it, taking the next step on the ladder to your success, is coming. New York City-based rowing jewelry company Strokeside Designs is offering the most beautiful pieces of the year for your graduation. 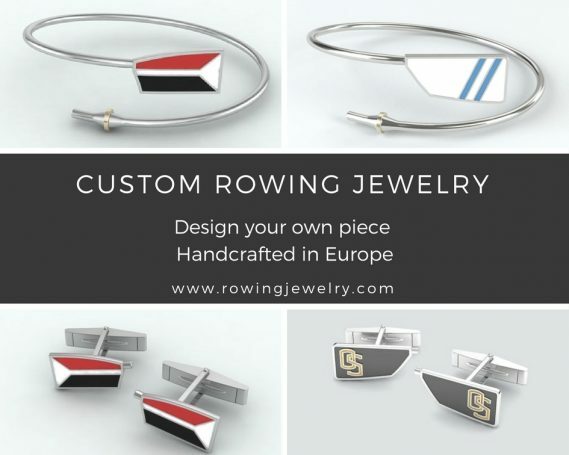 A variety of handcrafted rowing jewelry available for men & women alike starting at only£16.00! When the founding team of Strokeside Designs thought about ways to proudly wear their passion for rowing, they were disappointed by limited design options and poor quality jewellery design. Rowers know that hard work pays off in the long run and so the team travelled to Europe to find the most skilled artisans that still make jewellry completely by hand. The result? A beautiful collection designed by rowers that offer the perfect solution for your graduation gift. Today, these are top selling items in the Rowperfect shop. 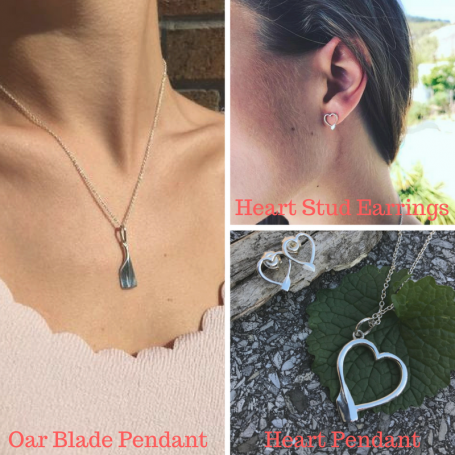 The rowing heart pendant and heart studs to show your love for rowing or as a unique gift idea. Available here for all rowing jewellery. For those in doubt, the oar blade pendant as a reliable source of rowing happiness! And now, the best part, you can custom design the bent oar bracelet for women and the custom cuff links for men with your own school colours! This entry was posted in Student and tagged Gifts for Rowers, rowing jewellery, rowing jewelry.